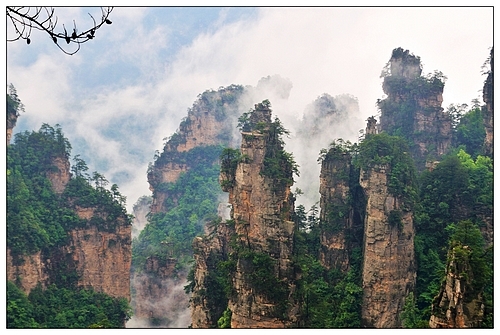 It is located at the foot of Tianzi mountain.Suoxi Valley Scenic Spot is named as “Ten-mile Gallery”,with looks like outdoor sculpture showroom .Along two sides of the river ,there display many great hills and cliffs.The Gallery offers an amazing experience of beauty.It is like an exhibition based in the gorge. 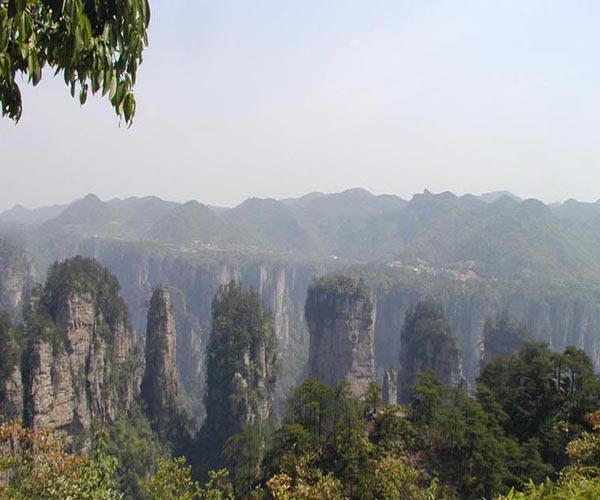 Along the road are 200 peaks like old man collecting medicine, parents holding a son, and three Sisters and so on.It has a fleet and clean river on-flowing with the width the width of 6 meters and length of 5km. Story of a Chinese Cartoon is based on the Ten-mile Gallery. 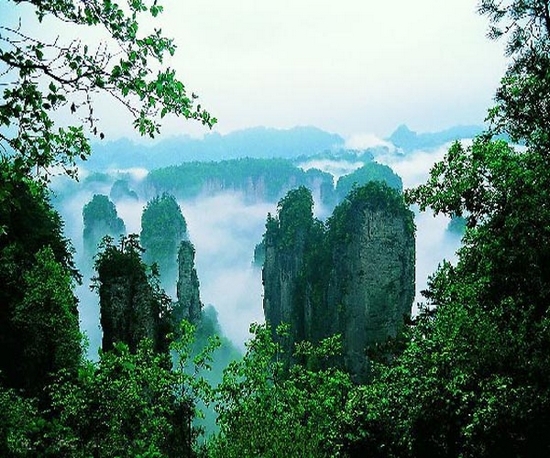 Hiking on it, you could enjoy smell of flowers, singing of birds, purity of water, and touching of wind. Along the road you could see a train track(Mini Rail). 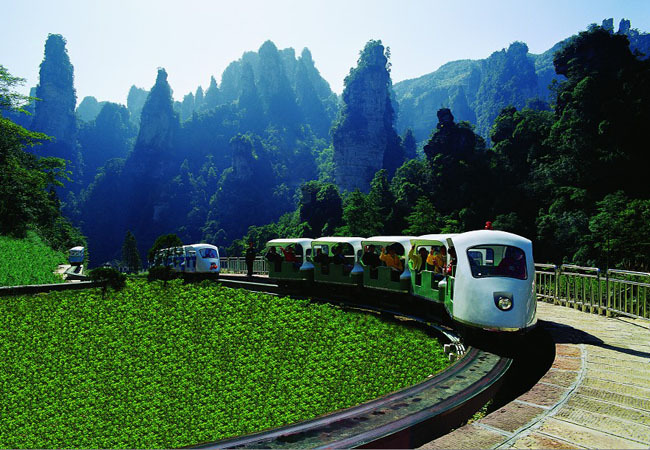 If you don’t want to walk, you could take a ride on the electric train which would take you enjoy it slowly.